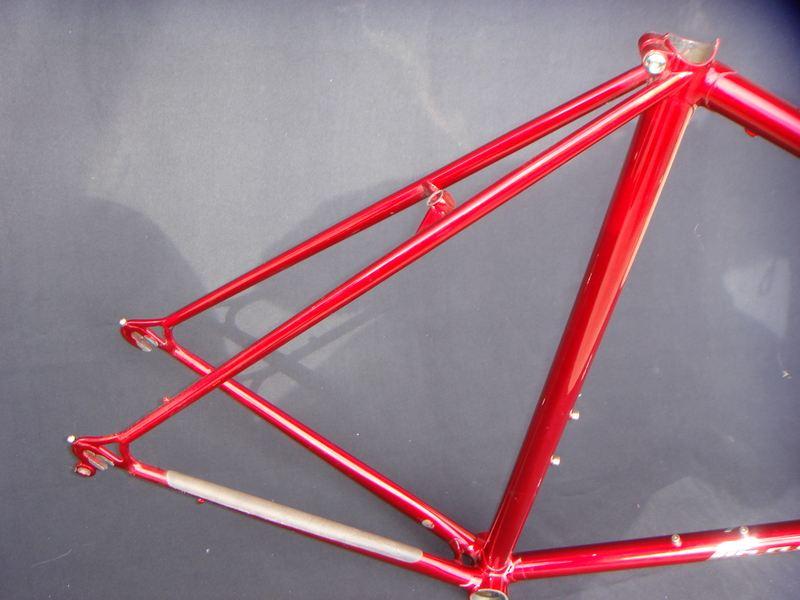 Here are some frames that I have for sale at very reduced prices , some of them are customers who fell through , others are stock that has been around to long .all are hand-built all have star enameler paint jobs all are top quality. 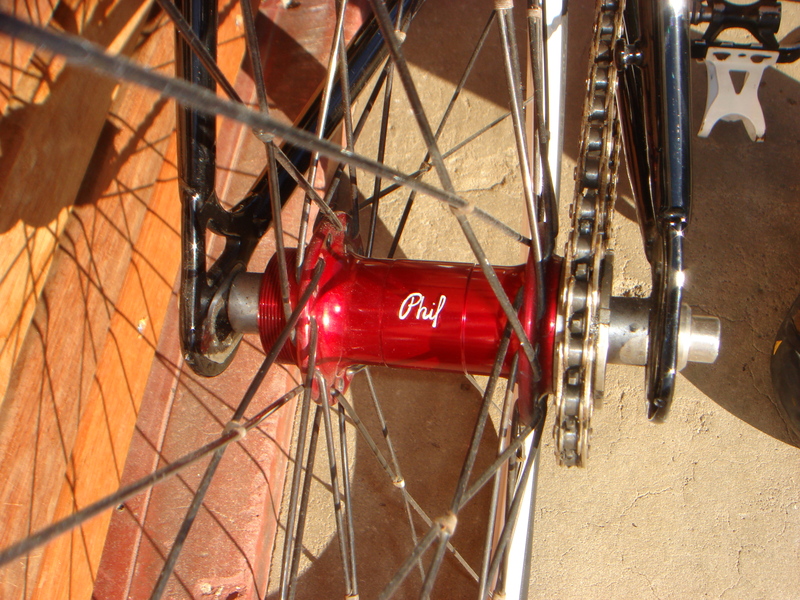 contact me if you need any more info on any of them. 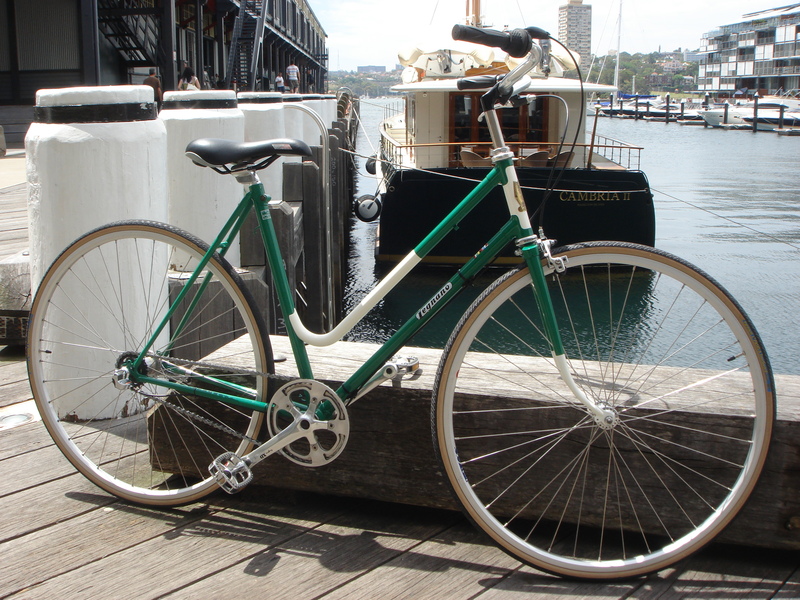 freight is $60 sent to all major city’s in OZ . 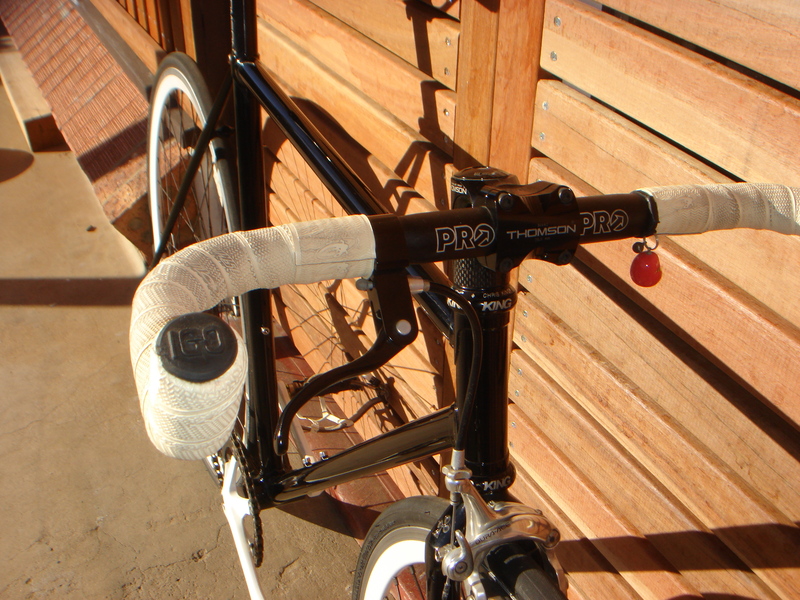 Primate cinelli lugged dedacciai tubed fixed free frame , has my custom tips, no cable guides but a rear brake bridge. 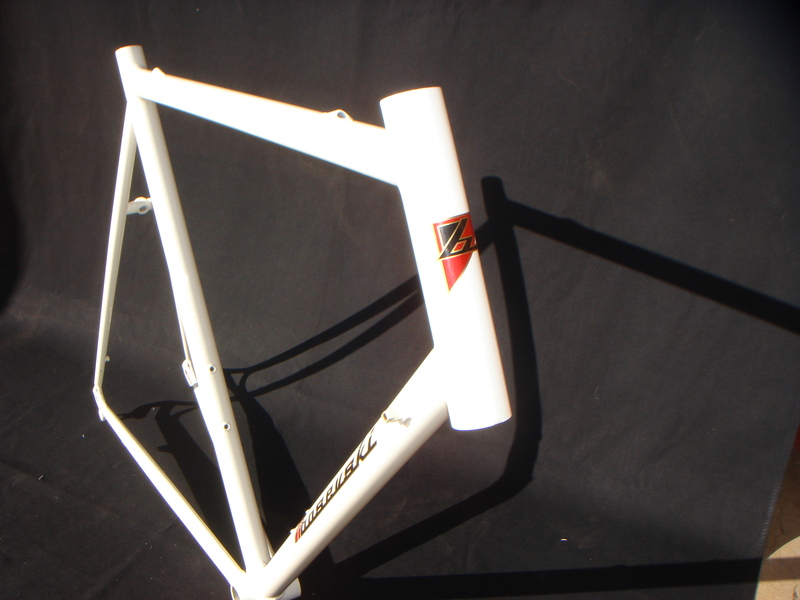 This one is very cheap as it has a small dent on the TT due to the bike being knocked over at another shop check the photos. 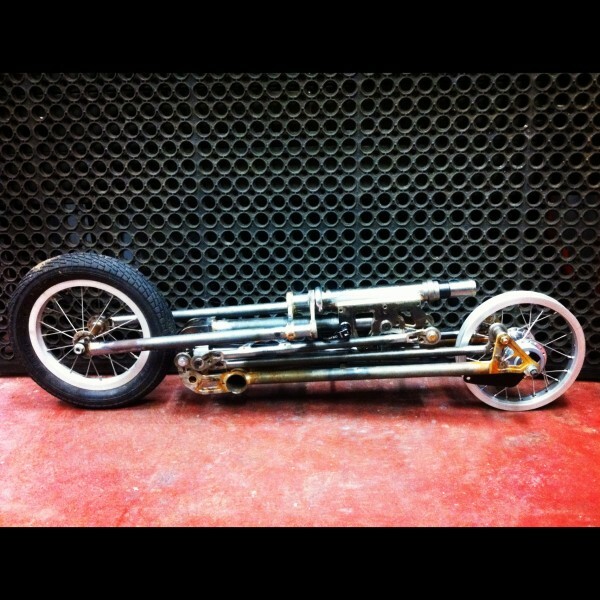 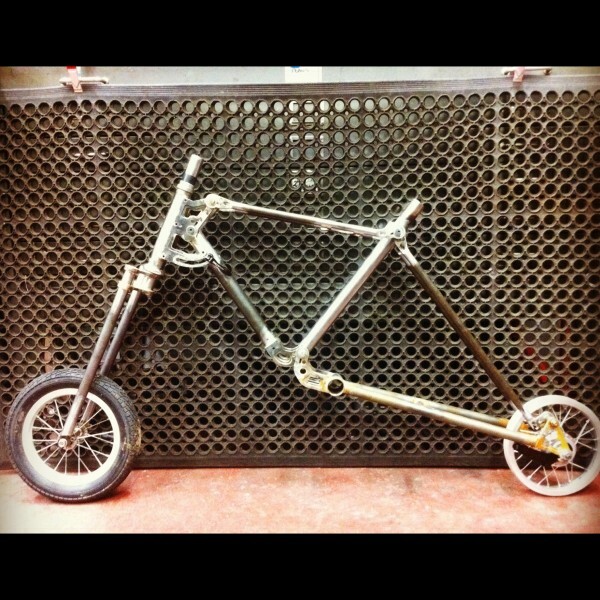 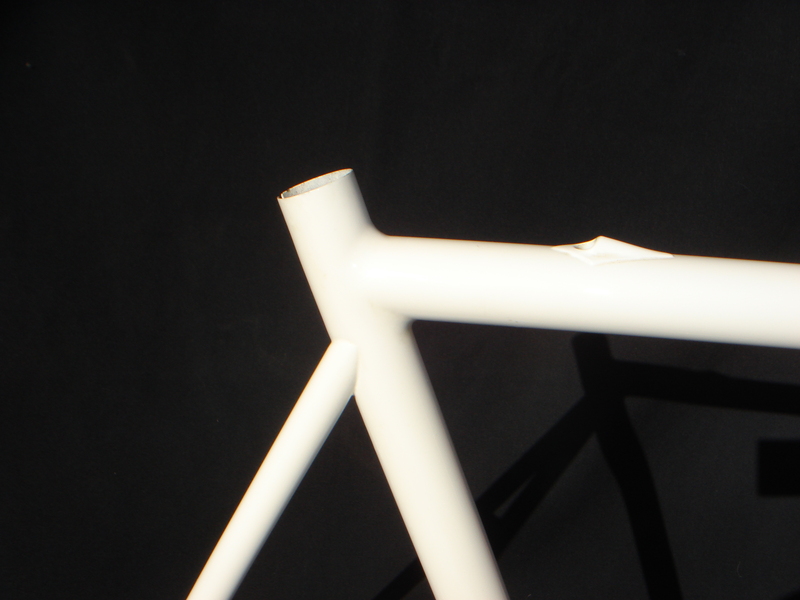 frame is un ridden was built up then striped down again. 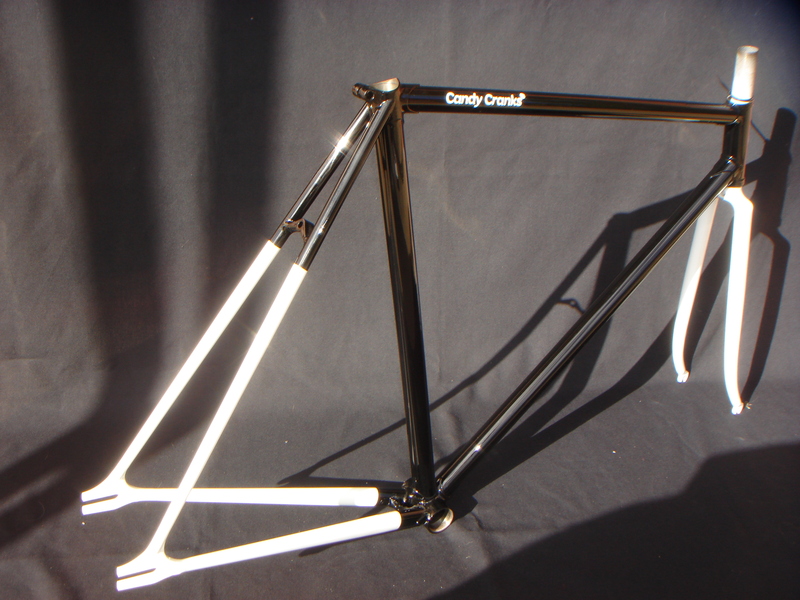 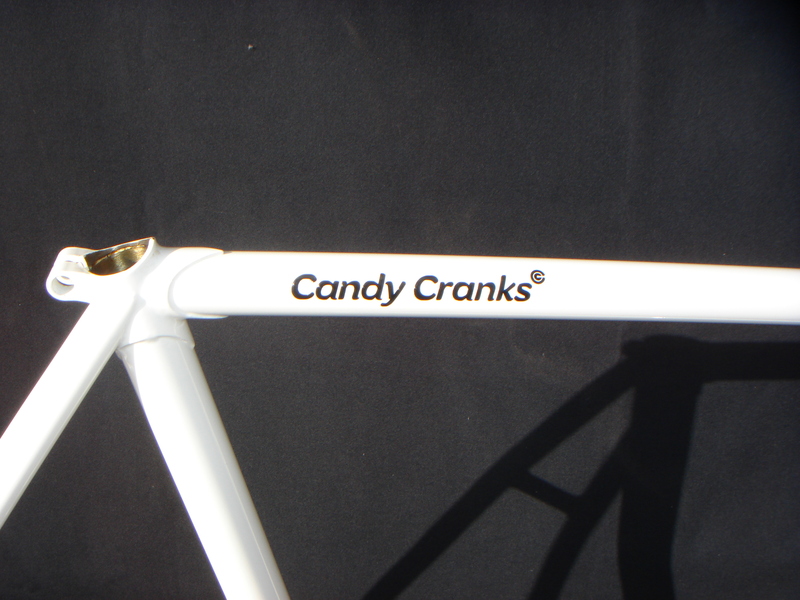 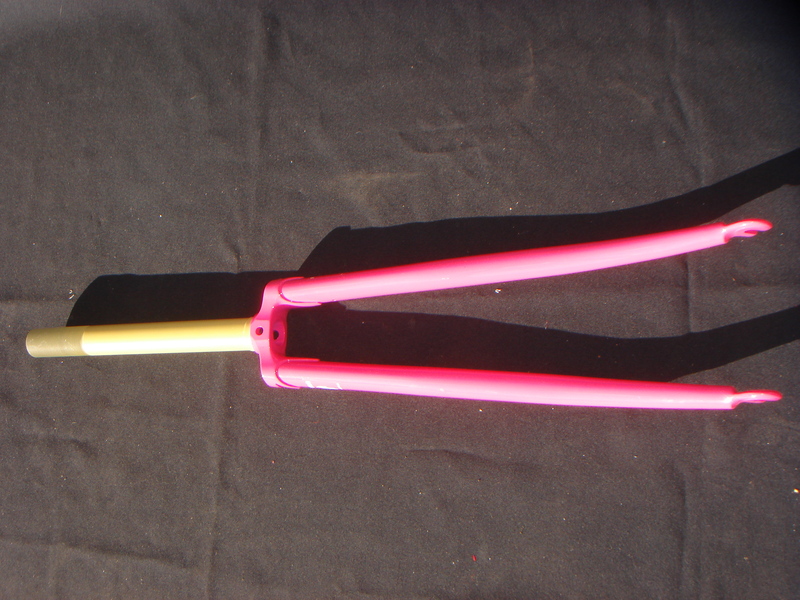 Candy Cranks proto type this was the first concept CC frame when we where testing out what wanted to do with them, has cenelli lugs and Dedacciai main tubes uses round tapered stays in the rear and old school campagnolo tips. 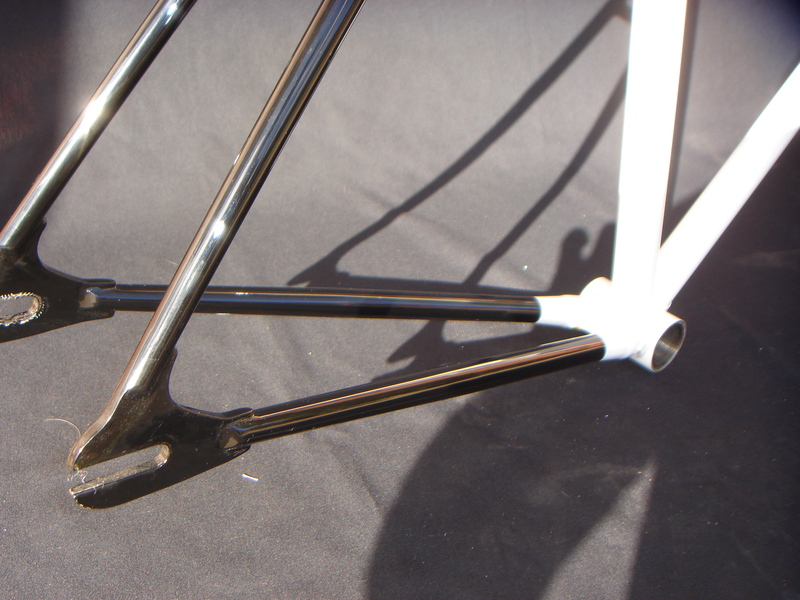 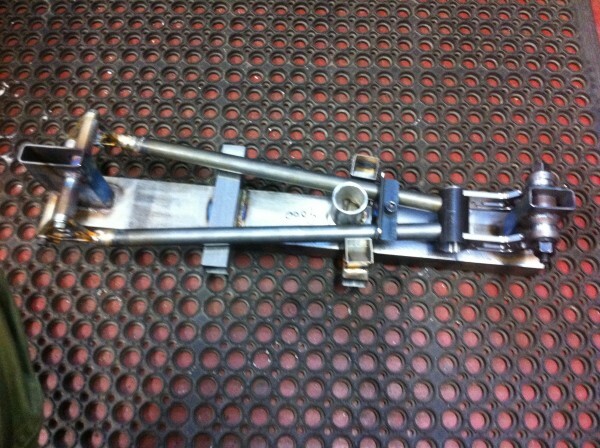 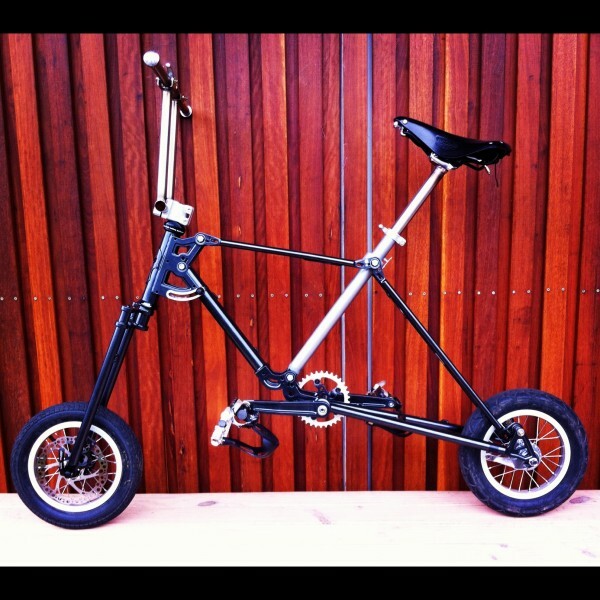 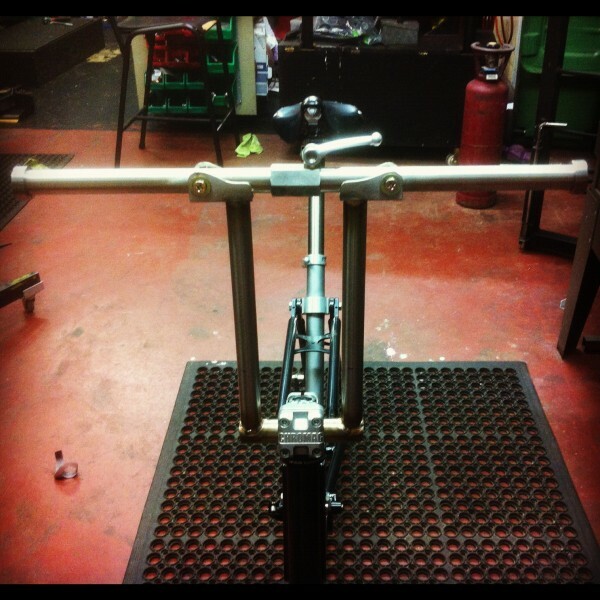 this one has a very tight rack fork as i had intended to use this frame as a trick polo rig but never got round to building it up. 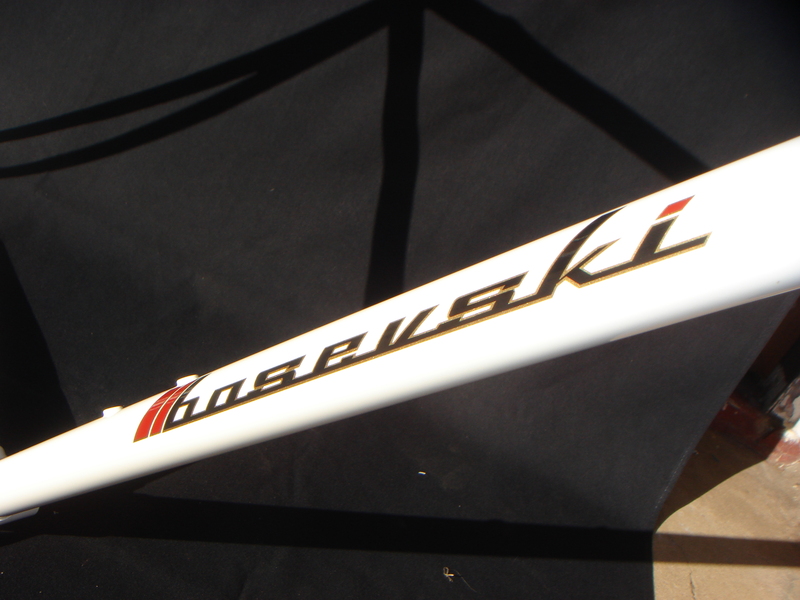 This is a Bosevski road frame and fork John is no longer building his beautiful frames and this is truly a piece of history, not only is it a Bosevski but it is the personal frame set of the builder made with Cinelli SLX ribbed tubes and Cinelli lugs, internal cable guide on TT, Cinelli fork crown and blades. 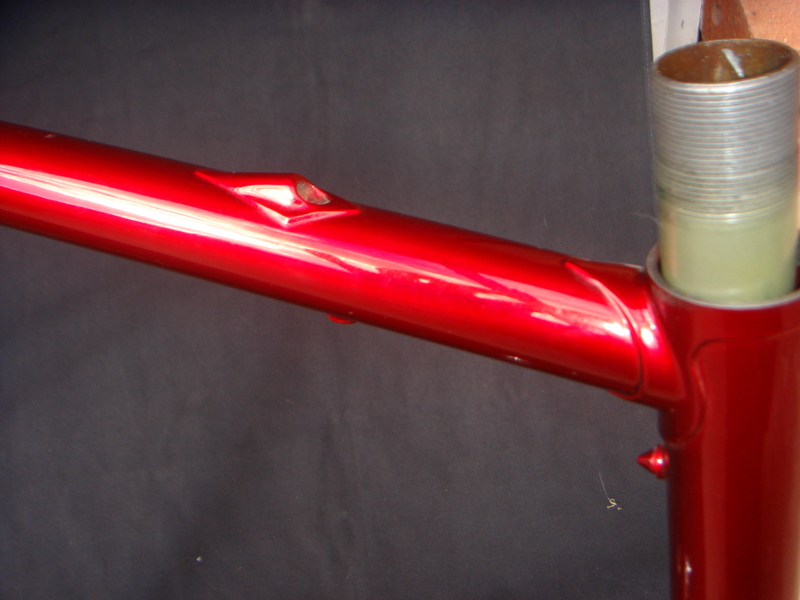 candy apple trans red paint. 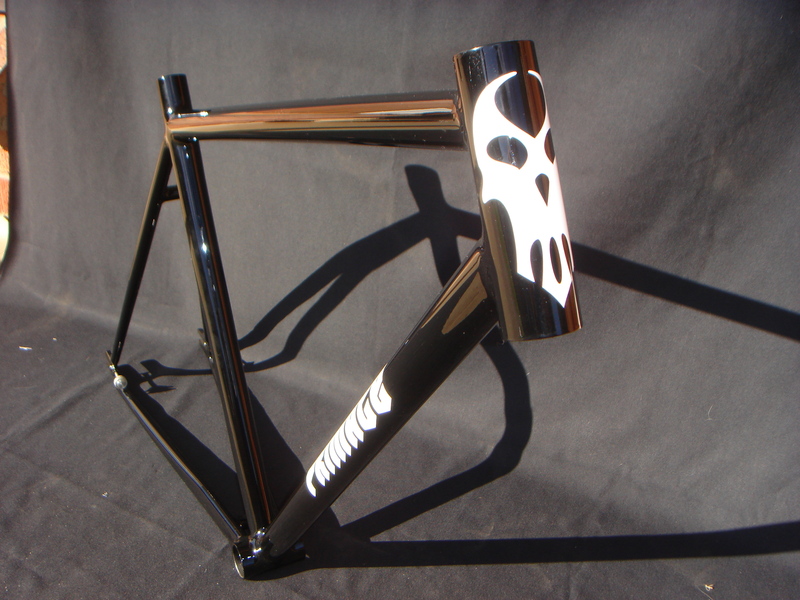 All I can say is its more than beautiful it truly is a piece of art work. 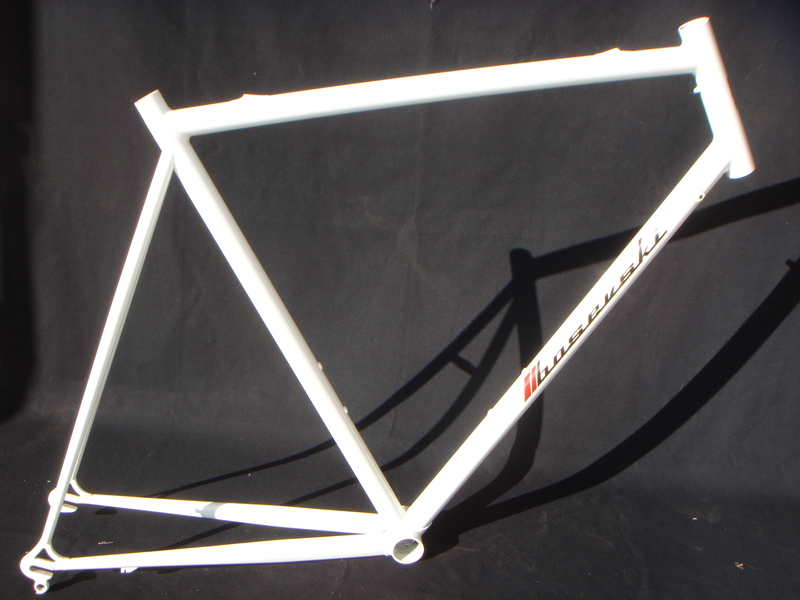 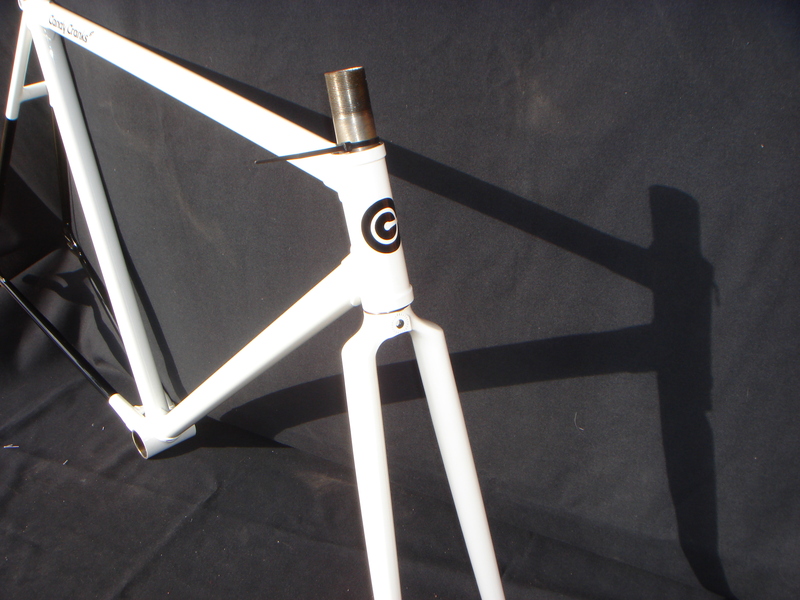 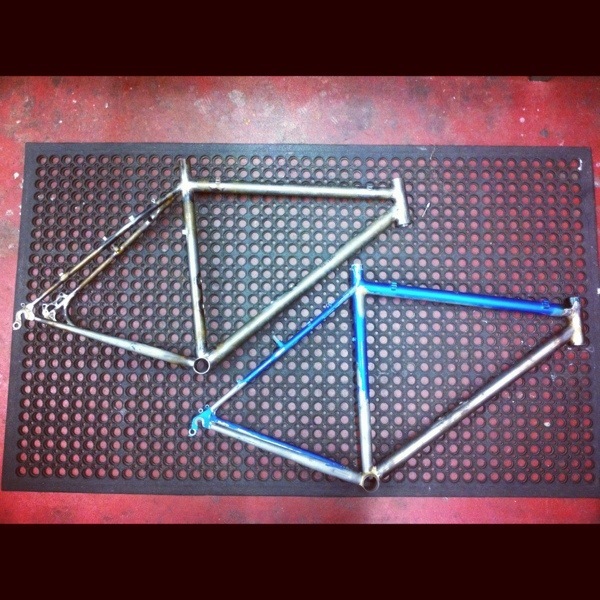 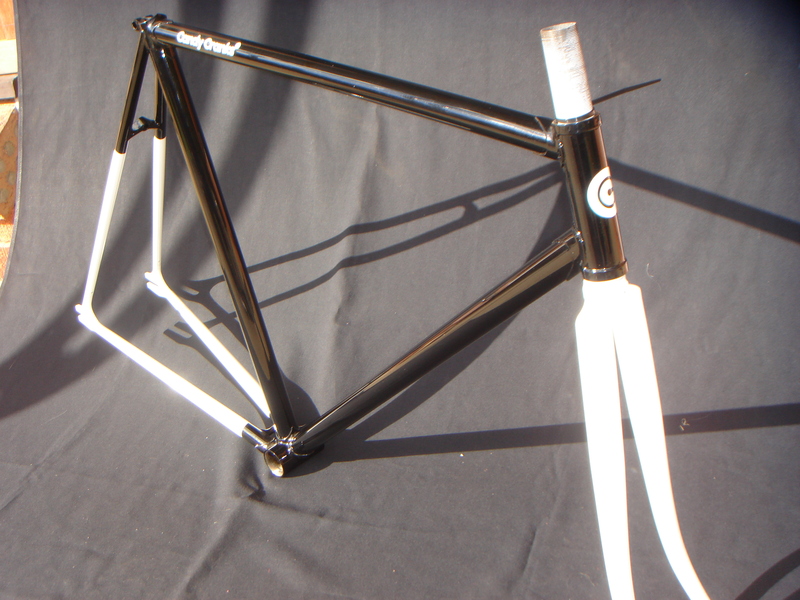 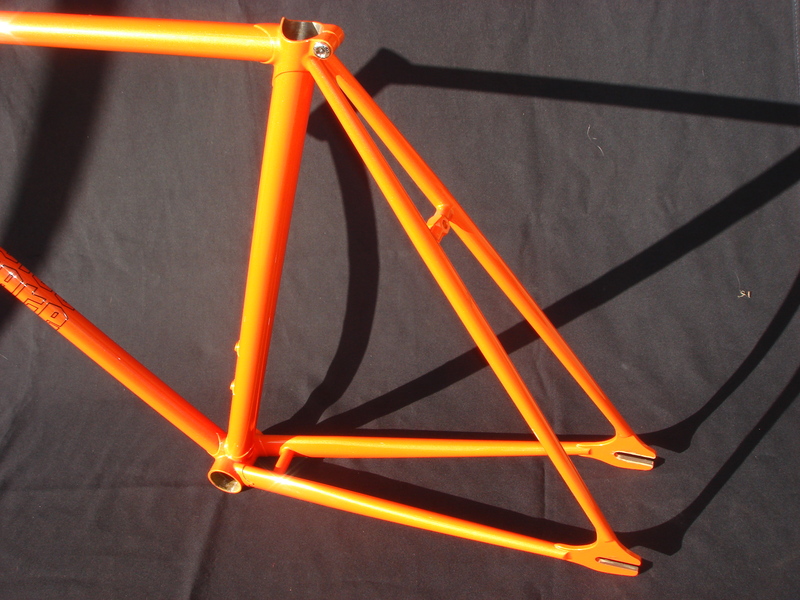 Hear is another Bosevski road frame this is one of Johns last frames ,this one is a fillet brazed main and rear with a lugged BB shell, Dedacciai tubes ,internal cable guide on TT .another beautifully crafted frame this one is un ridden and ready to be built up into something special. 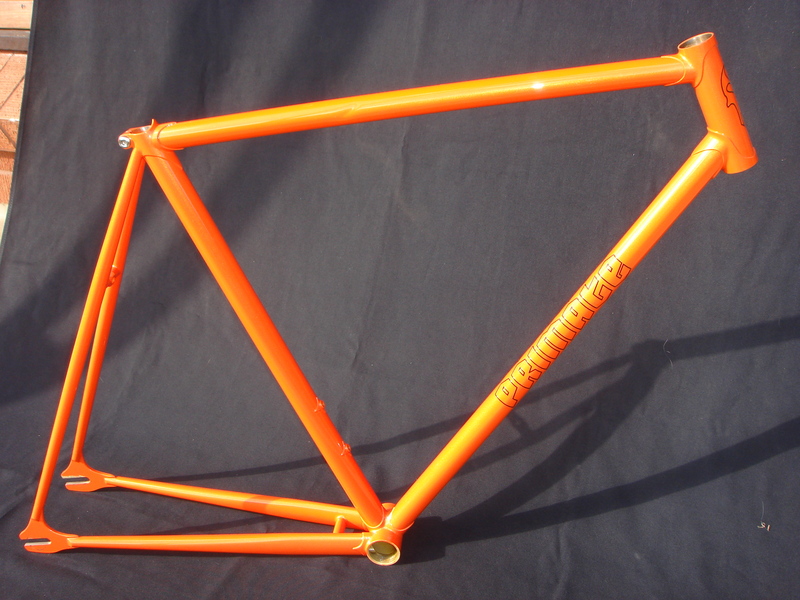 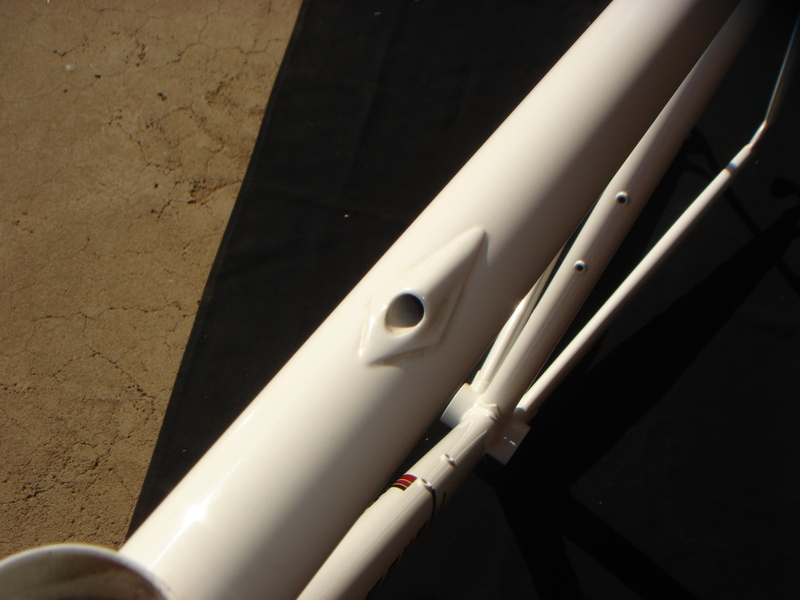 I don’t know what brand the frame is as it was already sand blasted when I picked it up but it is a very high-end light frame, I removed all the cable guides and gear hanger then had star enamelers do the paint. 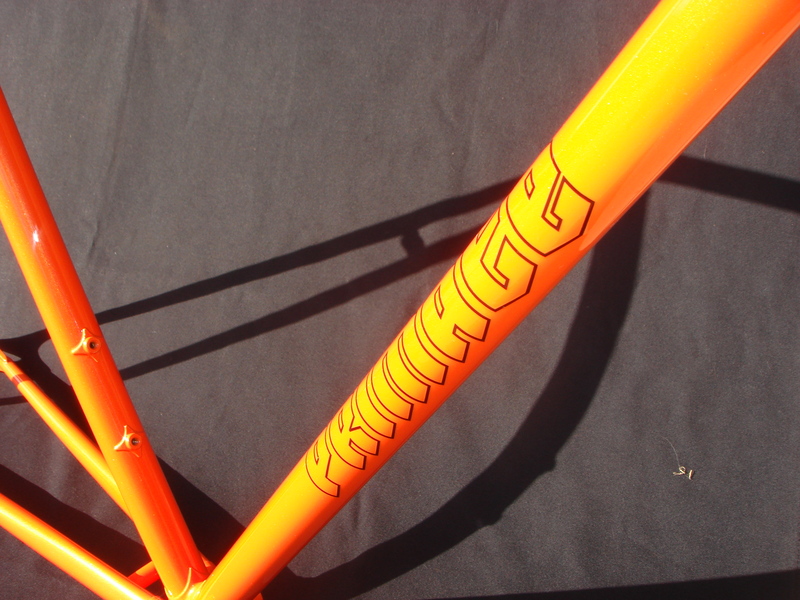 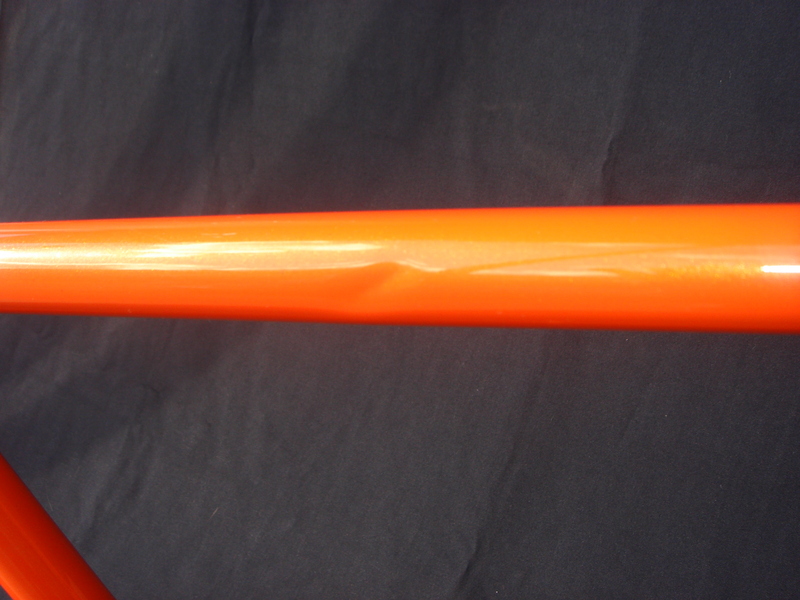 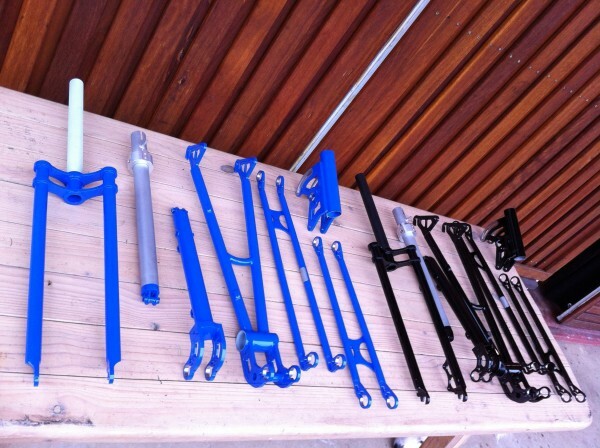 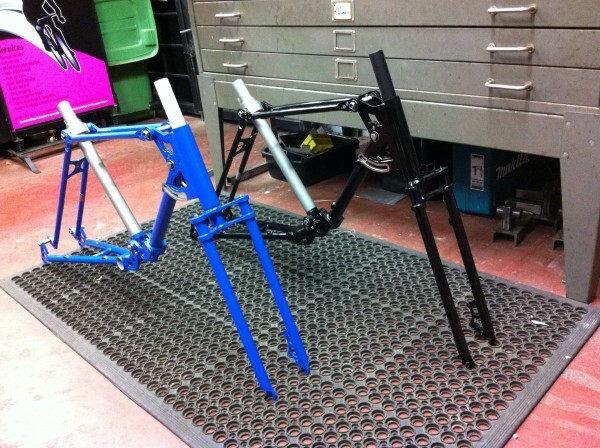 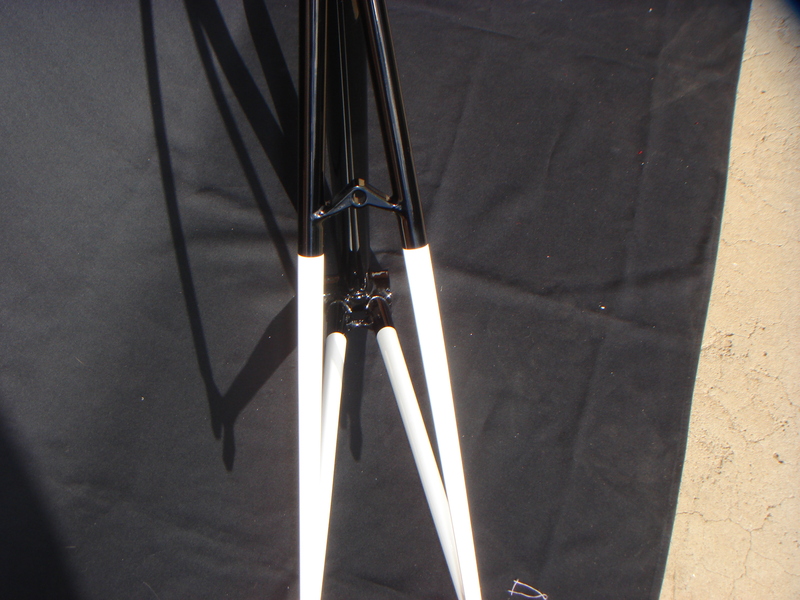 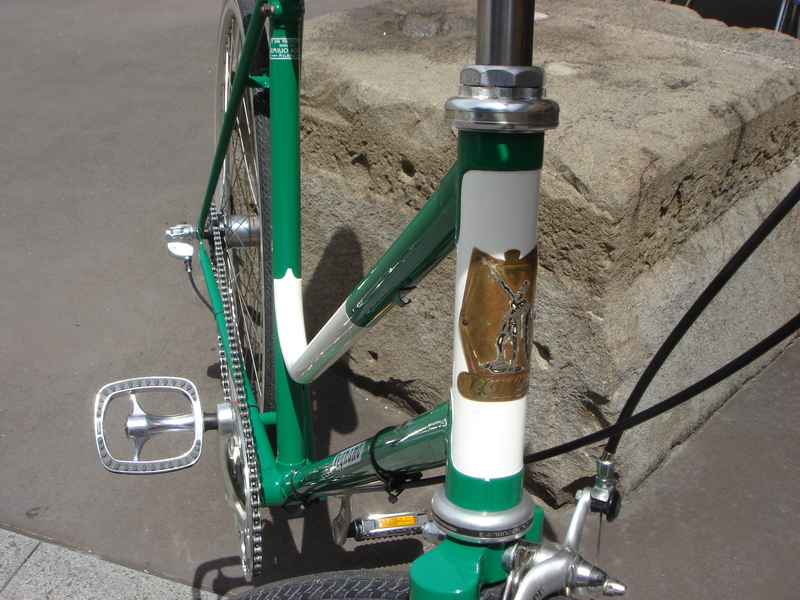 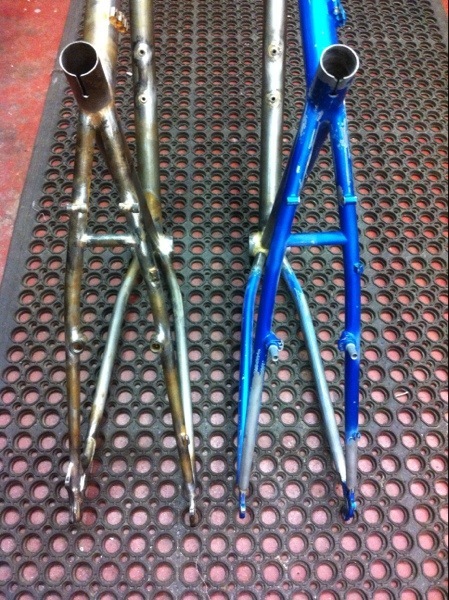 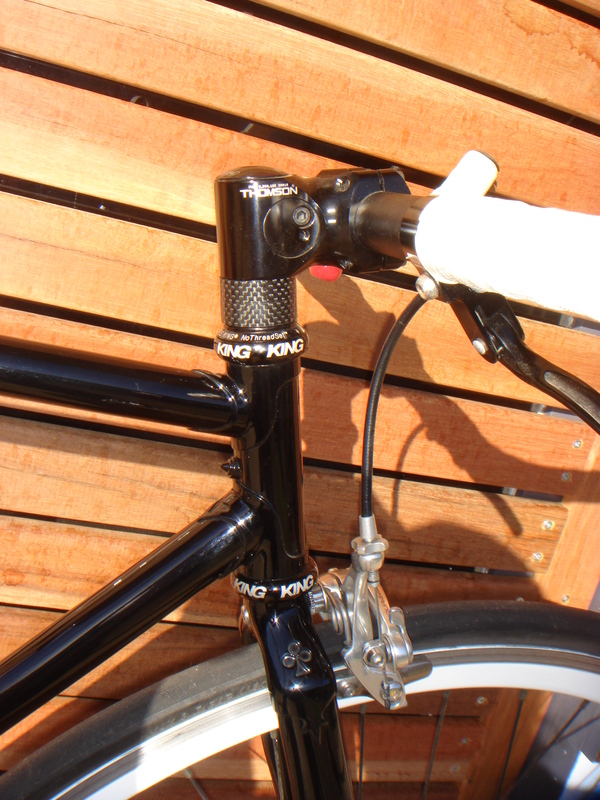 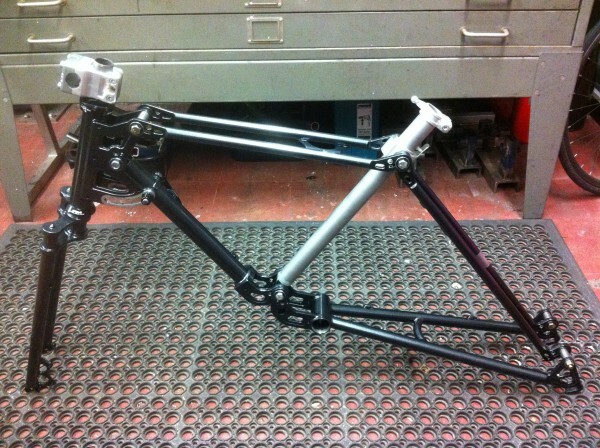 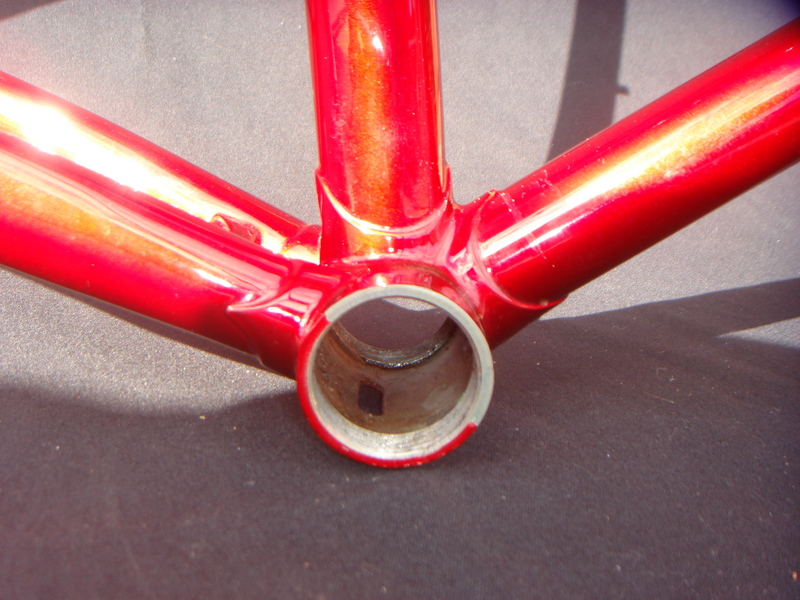 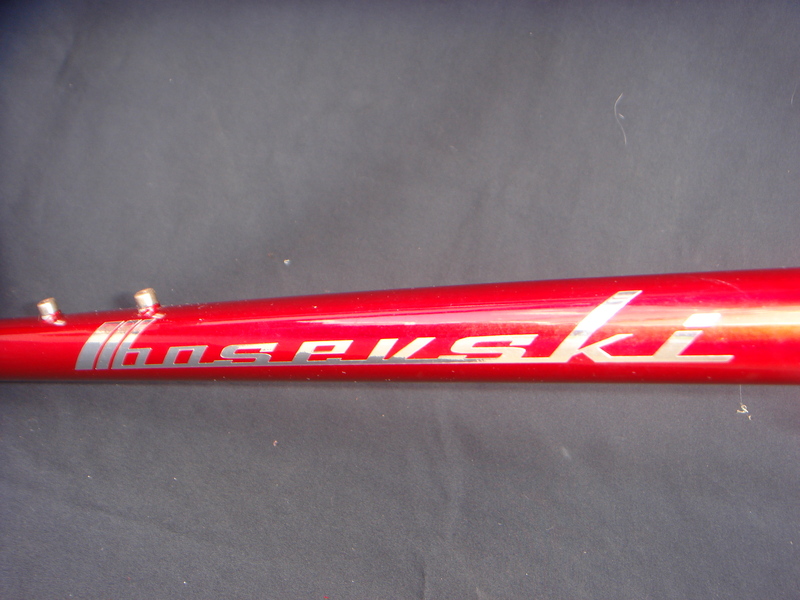 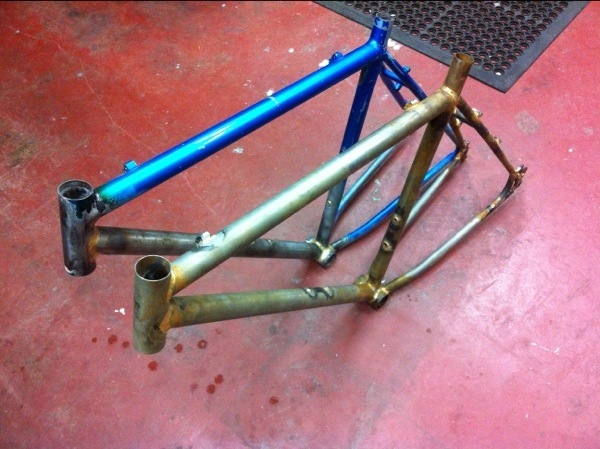 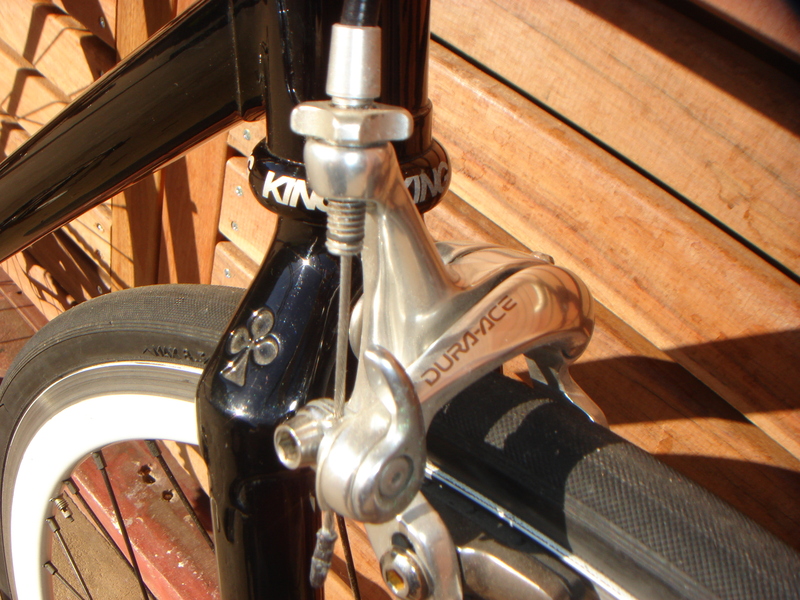 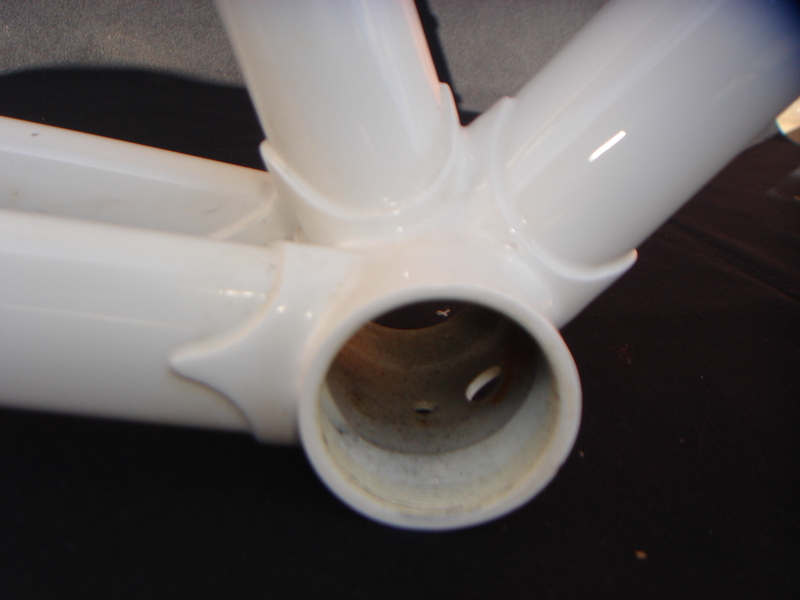 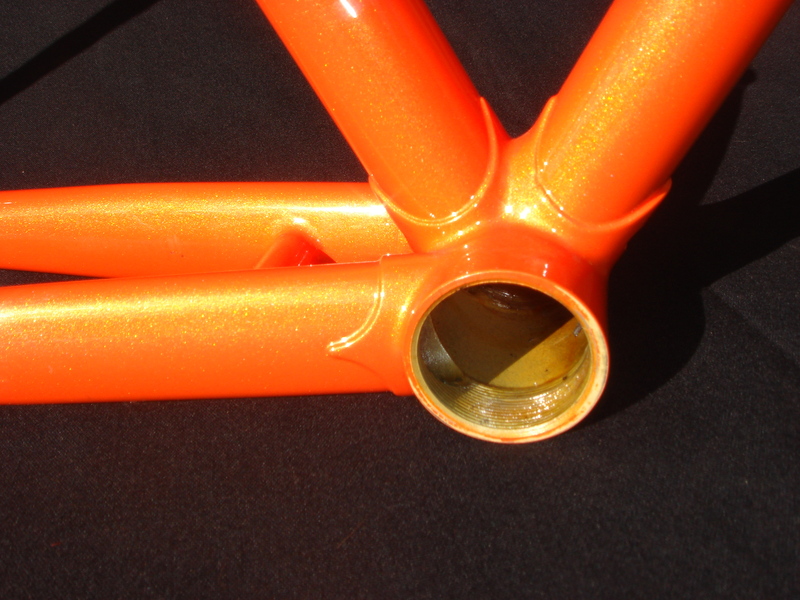 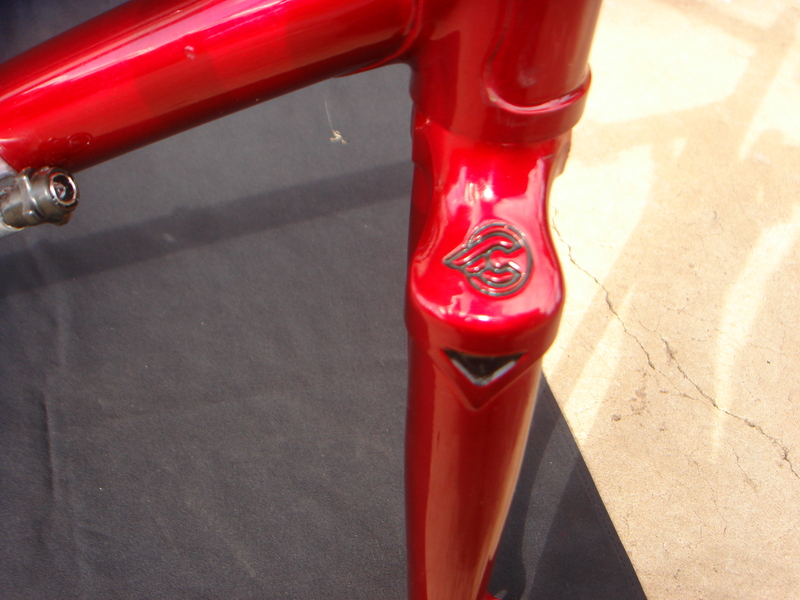 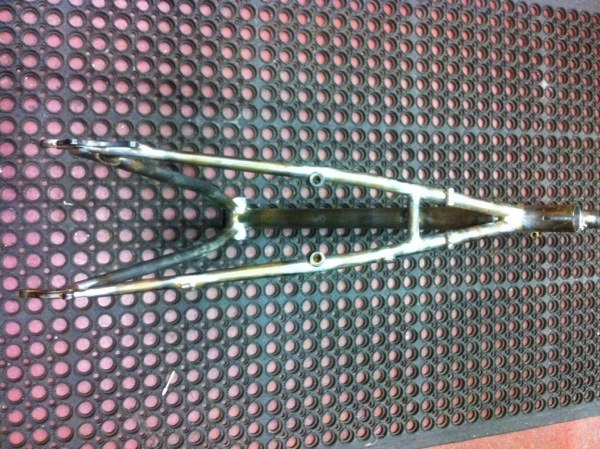 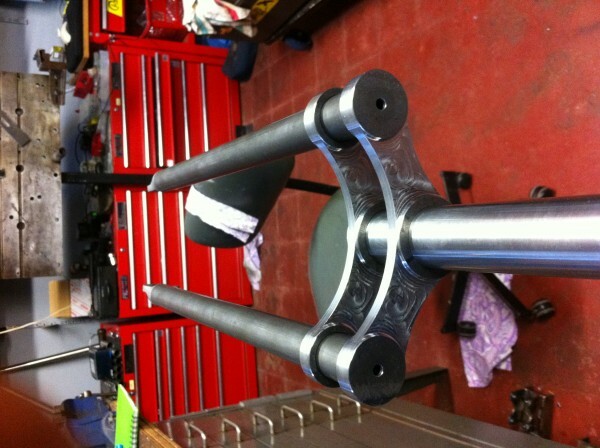 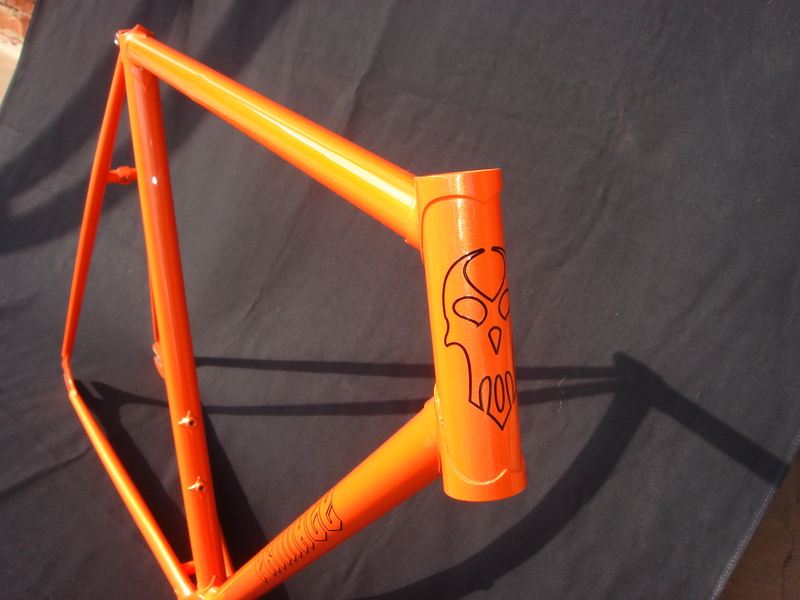 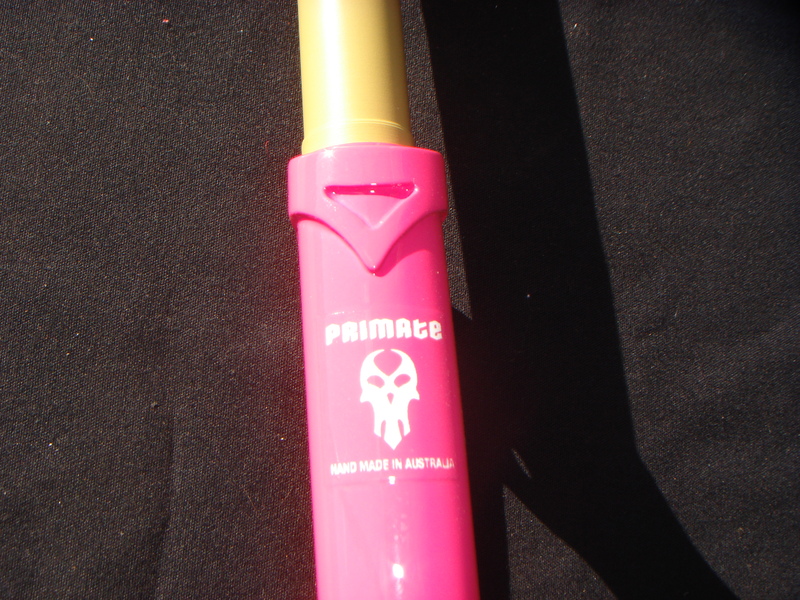 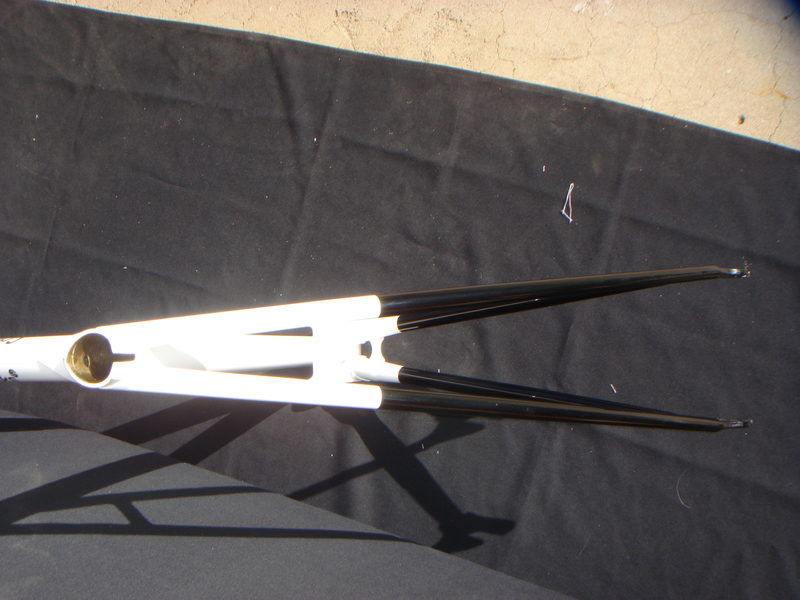 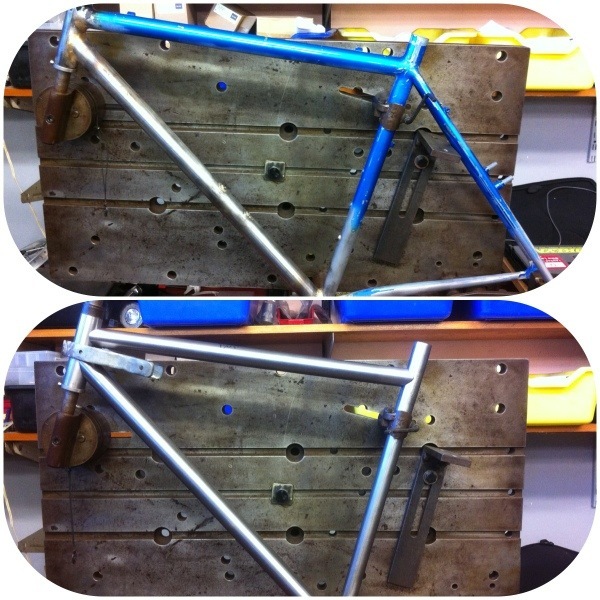 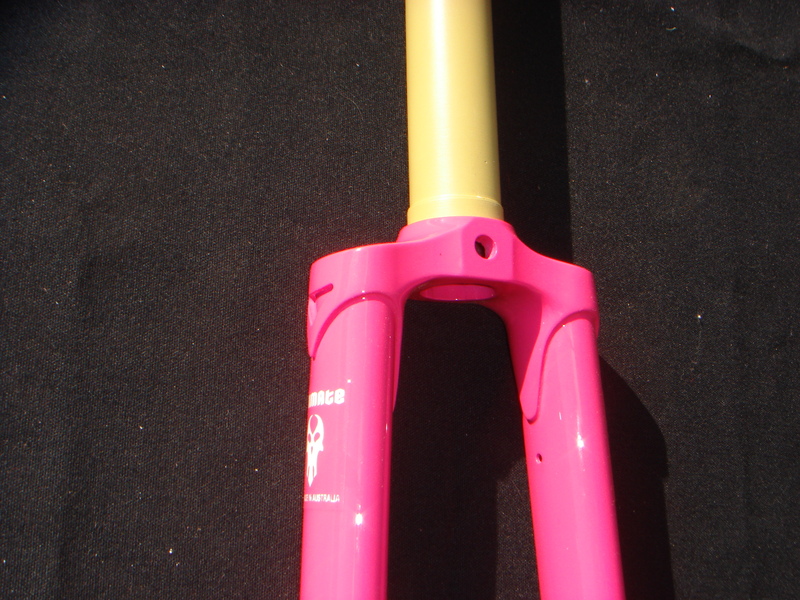 forks are Campagnolo that we had sprayed to match the frame . 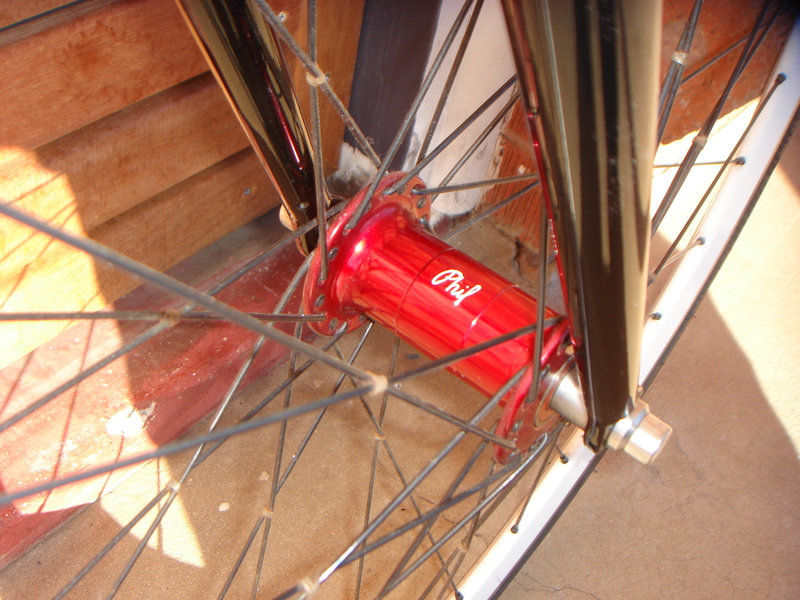 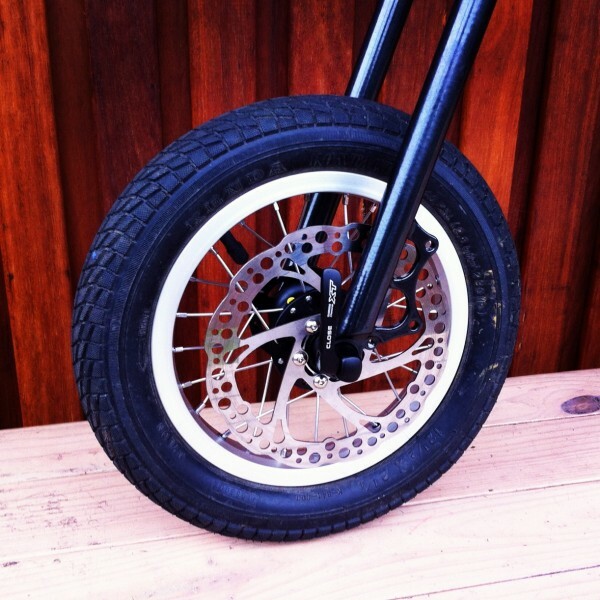 wheels are low profile Phil woods hubs in anodized red fixed free flip-flop rear black dt swiss double butted spokes tied & soldered, laced to white deep V rims with maxxis tires. 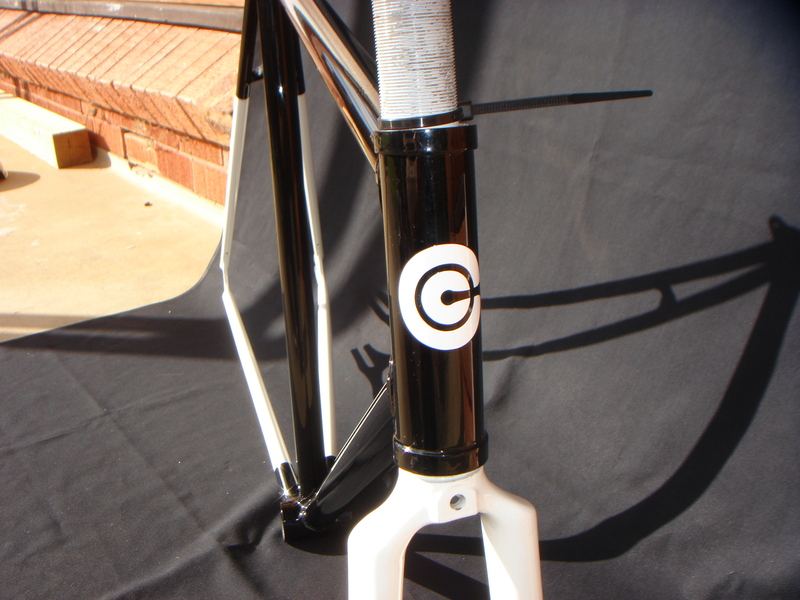 Phil woods BB / 105 shimano cranks, striped and painted white/ Thompson stem and seat post / shimano dura-ace front brake / msk quick release peddles / soma tow cages and Toshi straps / pro bull horn bars. 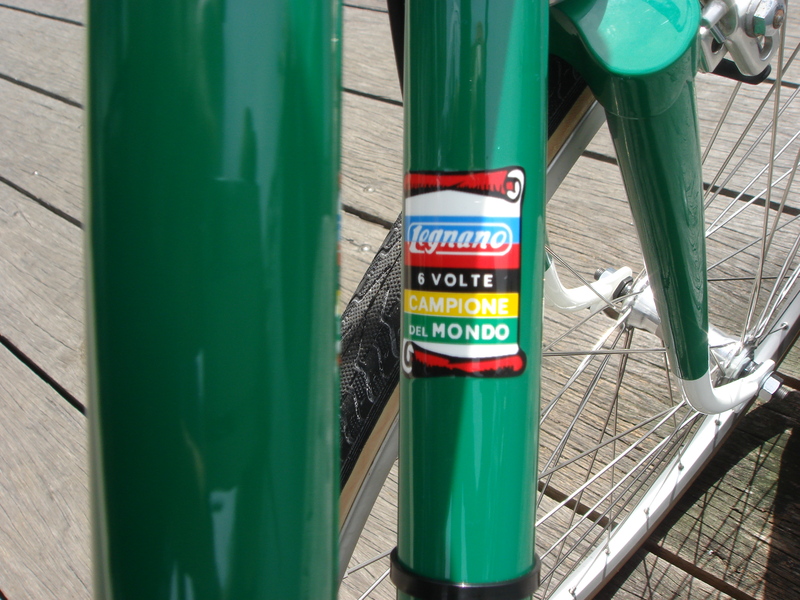 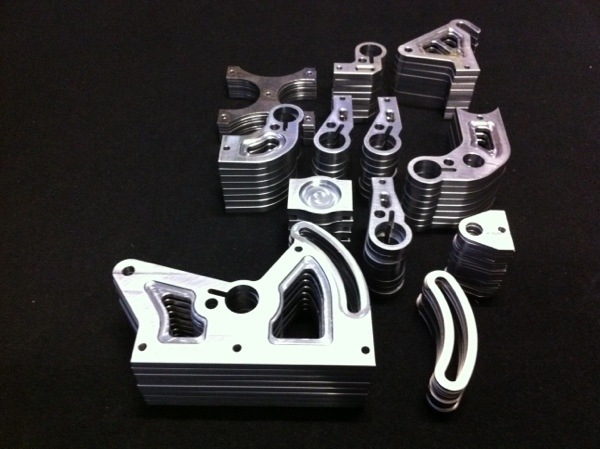 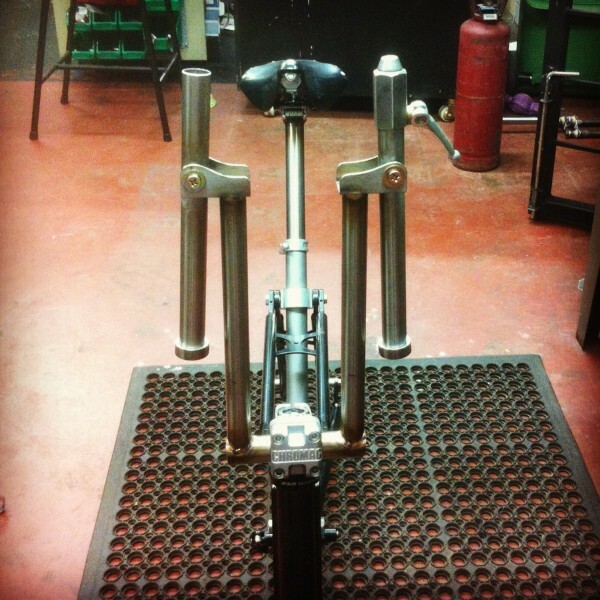 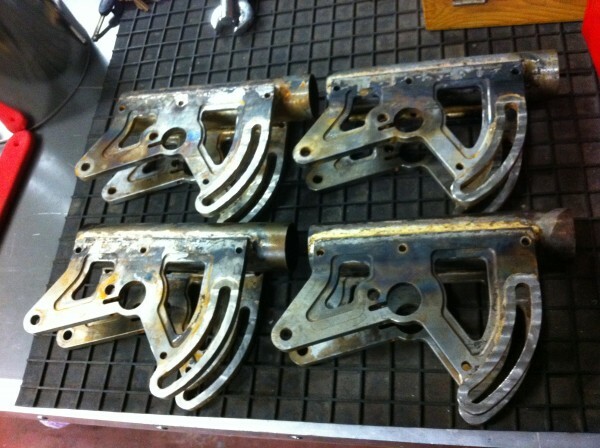 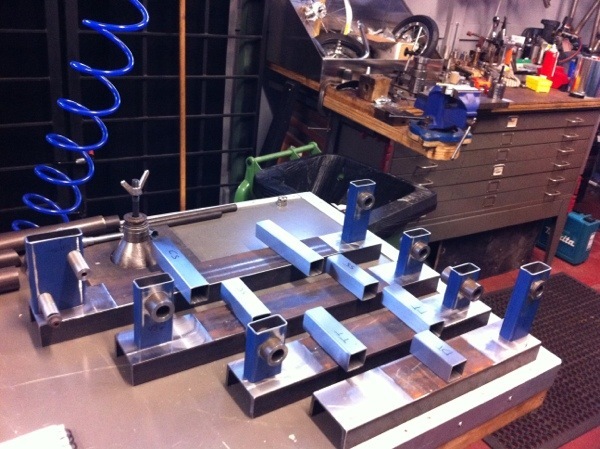 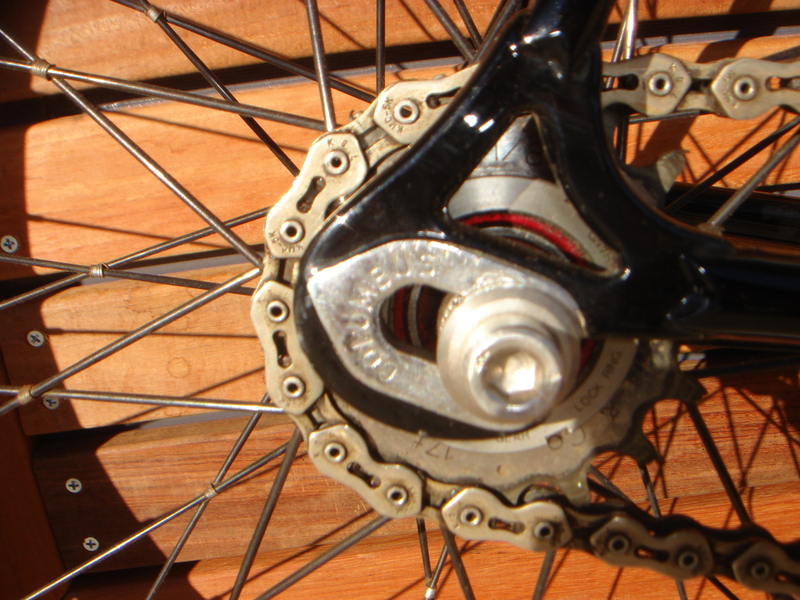 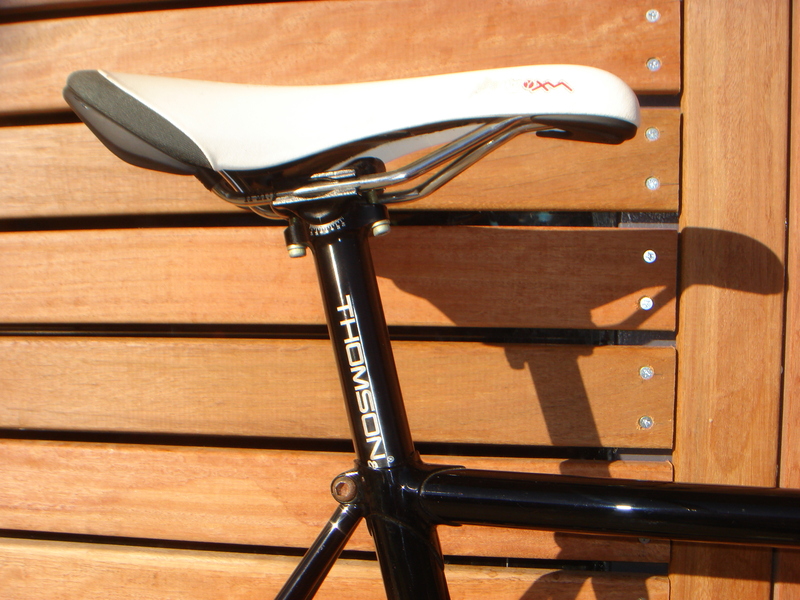 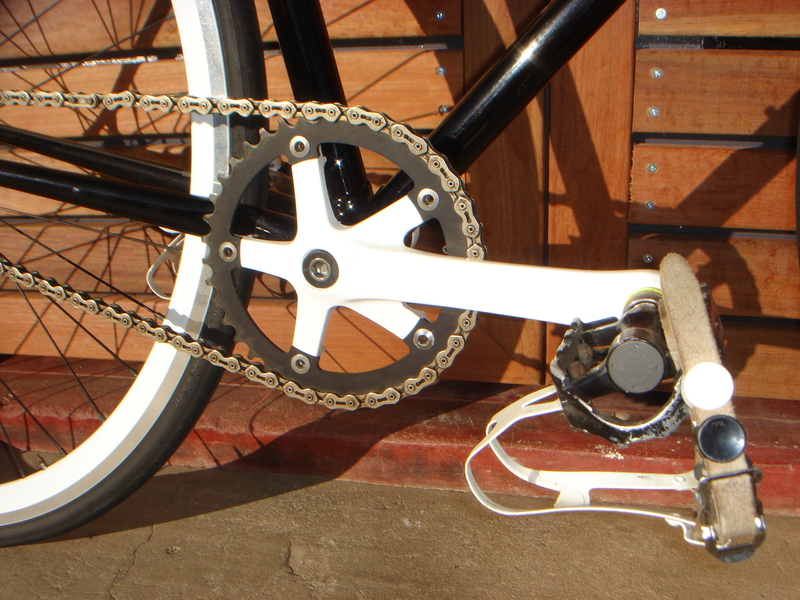 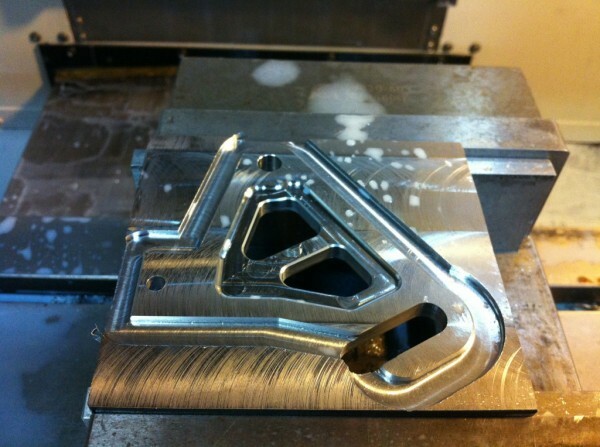 Hear are some shots of Sarah’s beautiful LEGNANO . 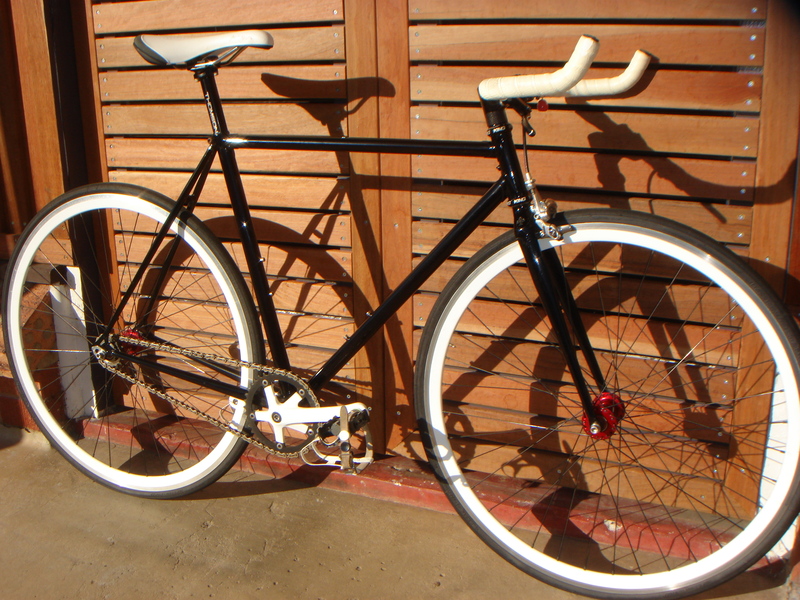 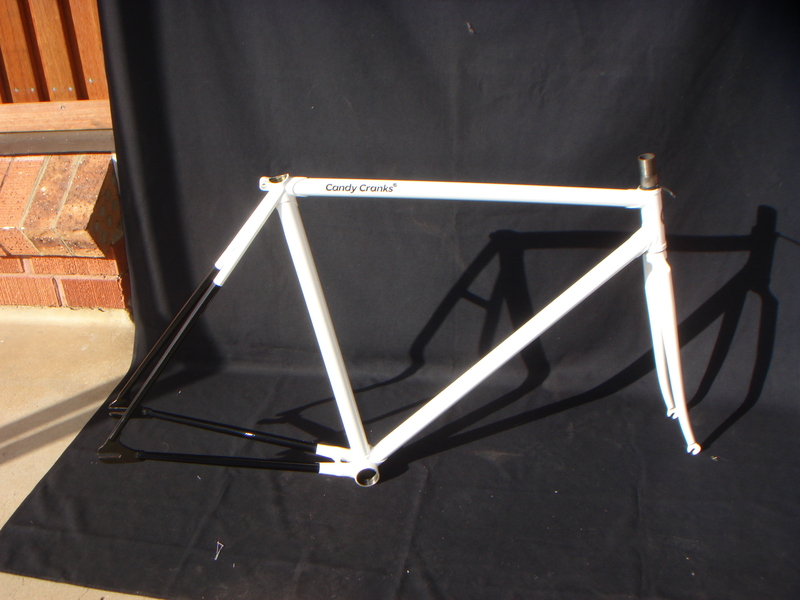 My Sister found this complete bike in the chuck outs in the outer suburbs of Sydney I striped it down with the intention of rebuilding it up for her but this never came to happen and the frame and forks sat on the top of a shelf for several years almost forgotten and nearly thrown back out a couple of times as well. 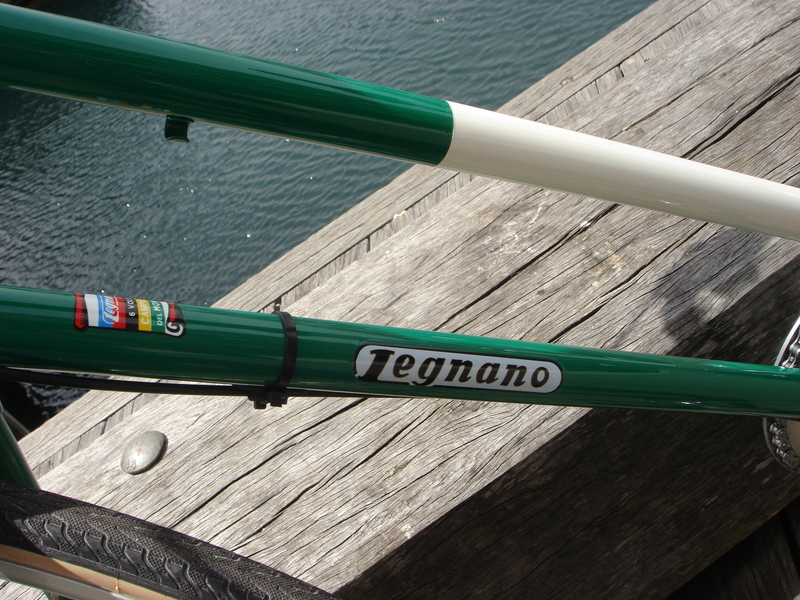 Then recently one of the lady’s from work asked about getting a bike and I thought straight away of the legnano and thought it would be the perfect bike for Sarah. 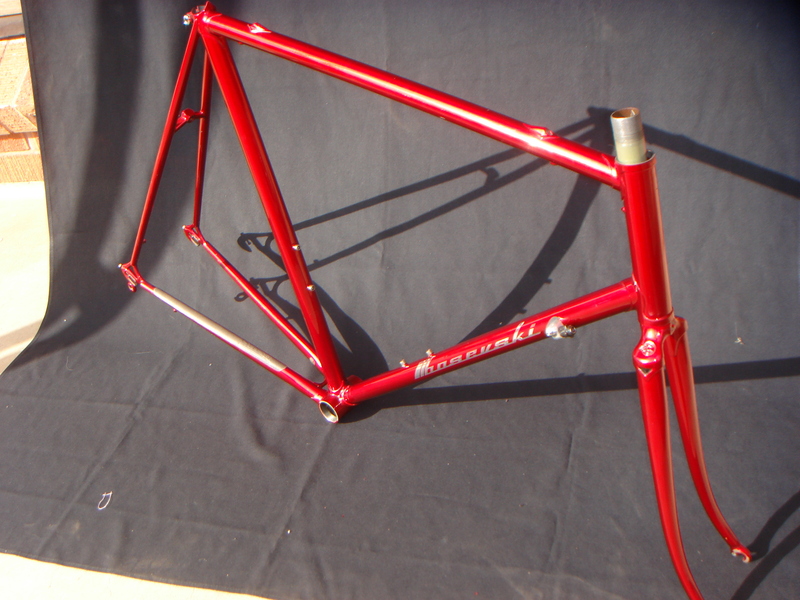 After introducing Sarah to her frame and convincing her that though it looked a bit rough with its weathered paint that under the skillful and artistic hands of Peter from star enamelers she would be a most beautiful bike. 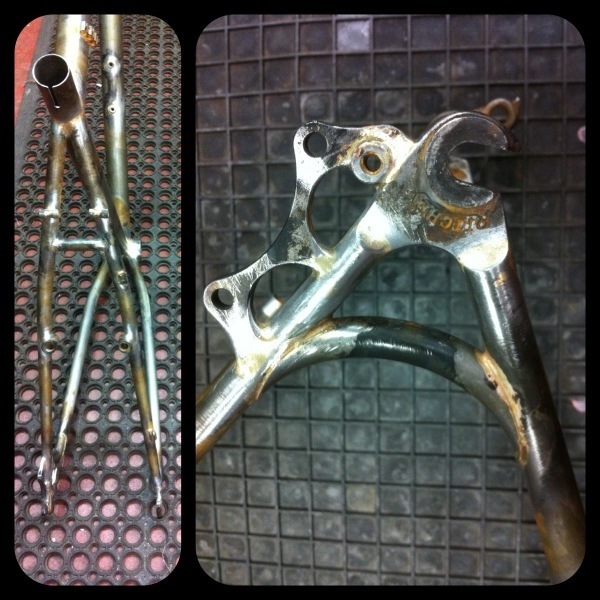 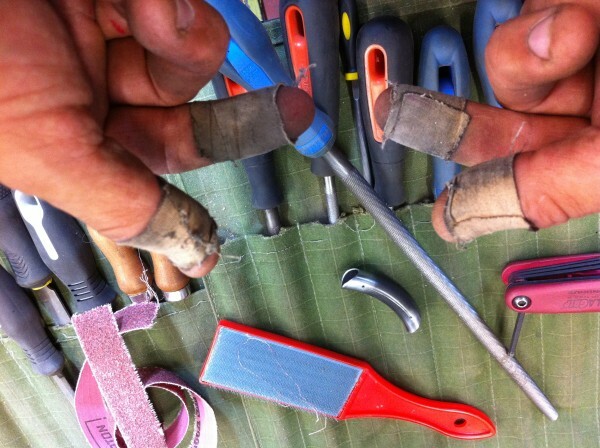 That done it was of to Star Enamelers to join the queue for Peters magic hands. 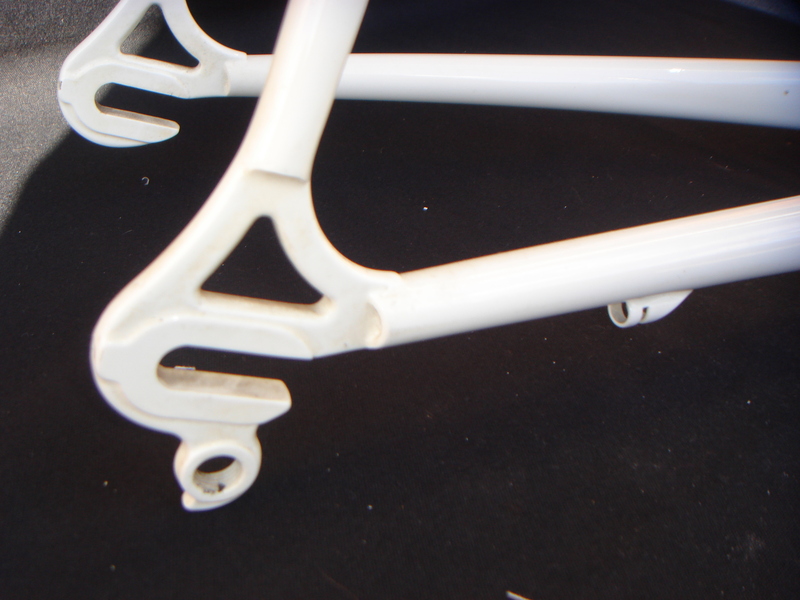 In the interim I went about sourcing parts and working out how I was going to re berth this beauty, it turned out that the biggest hurdle was getting the reproduction decals peter has a good contact for such work and the decals look the part and where defiantly worth the wight . 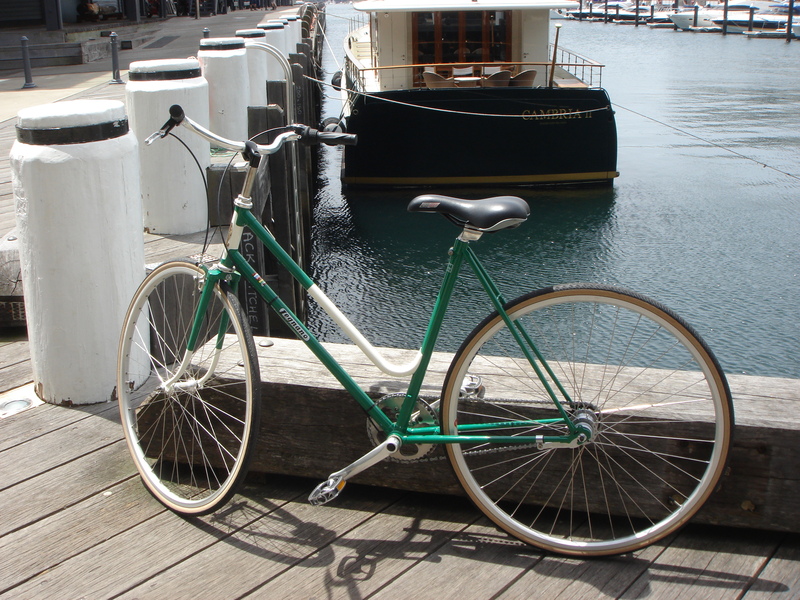 Well Sarah is still building up her confidence as its been a long long time between rides for her, but I have a feeling there will be a long and happy relationship ahead for them.